February, stereotypically the month for Valentine’s and love, but the WEP’s open to all genres, not just romance. However, if you want to go down the romance path, awesome, but please, no erotica. In Too Deep is a prompt for any situation with the potential for unforeseen conflict. Or it could be literal – a flood, a hurricane, a mining disaster, you name it. As always, the badge depicts how wide open the subject is. There are a million possible takes. Love. War, and anything in between. An affair sours. A hobby (hubby?) goes berserk. An addiction teeters on the edge of out-of-hand. A sports tournament goes horribly wrong. 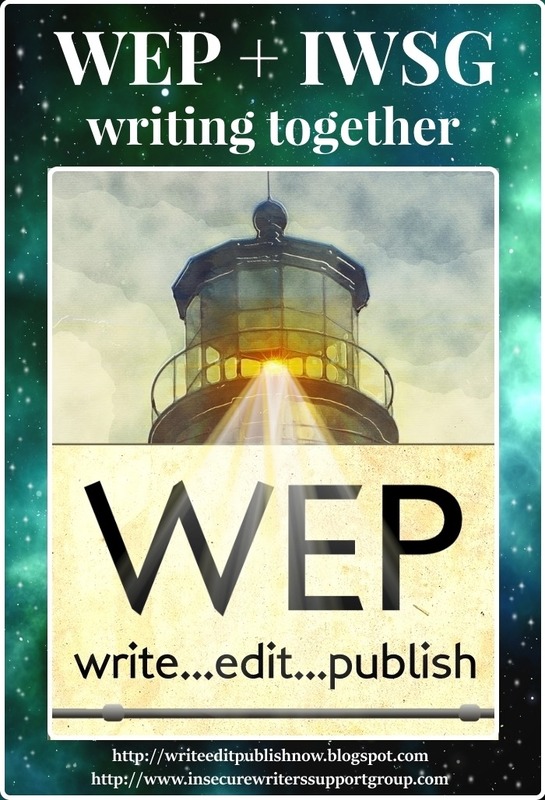 And to make sure your post is picked up quickly, add "WEP" to the title! 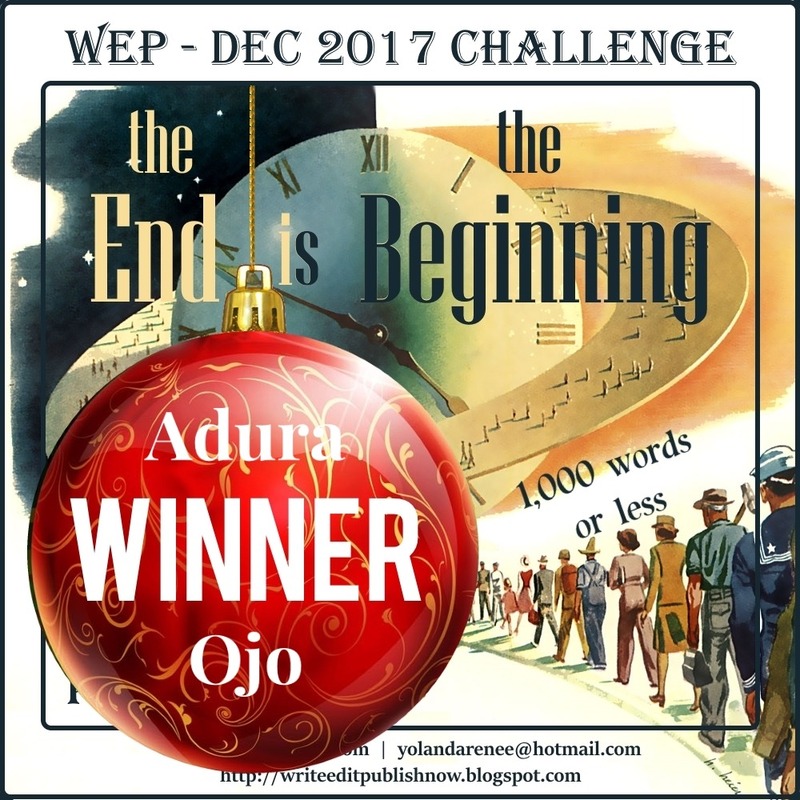 Guest Post, Adura Ojo, winner of the December Challenge, The End is the Beginning. Welcome to a new year of WEP! It's wonderful to be back and to anticipate writing to prompts every two months. Check the list in the sidebar, or go to our CHALLENGES 2018 page if you haven't already checked what we have in store for you. 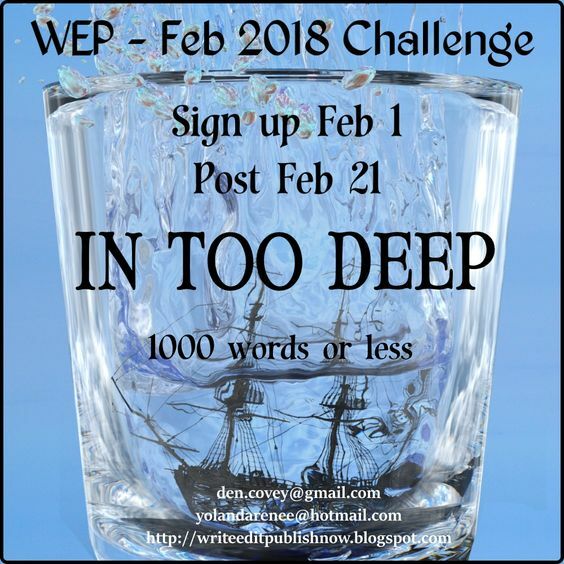 Come February, we sign up for In Too Deep, which should get your creative juices flowing. However, before we launch our first challenge of the year, we hear from our winner of the December challenge, The End is the Beginning, poet Adura Ojo. If you haven't read Adura's winning poem, you can read it HERE. Adura has been traveling and is still on the road, but managed to get her guest post done at the eleventh hour. 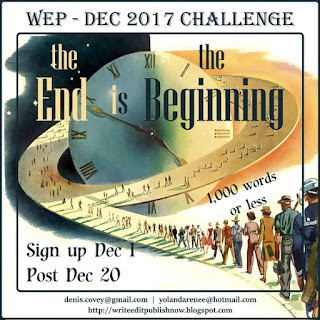 Thanks for participating in WEP again, Adura, now it's over to you! Narratives exist for a reason. 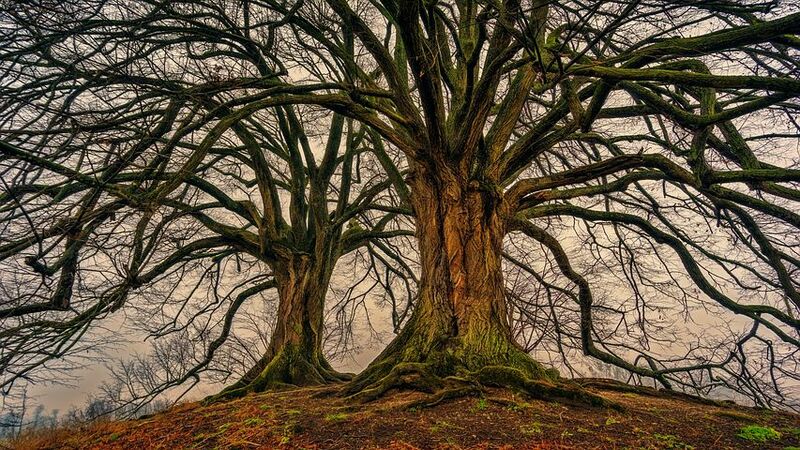 Stories are said to be as old as time, itself. 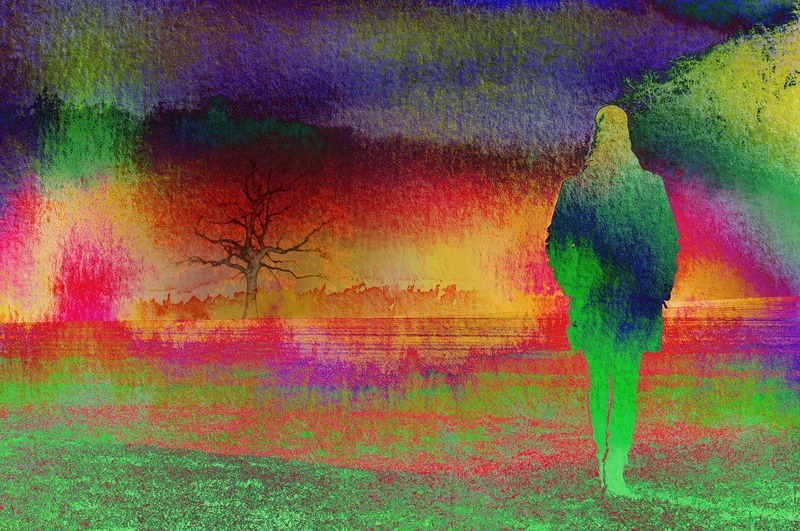 For as long as we have existed as humans, we’ve been telling stories shaping our own realities. Sometimes these narratives run like a factual script in our lives, almost like an existential script that cannot be altered. Cinderella is one of those classic tales. A girl meets the man of her dreams and lives happily ever after. And why shouldn’t she? Love endures in just about every human experience that we can think of - be it happiness, pain, joy, sadness, war and death. Therein is the mystery of love as one of the most complex of emotions to grace the terrain of humanity. With the incredible endurance of love comes the danger of the single story. 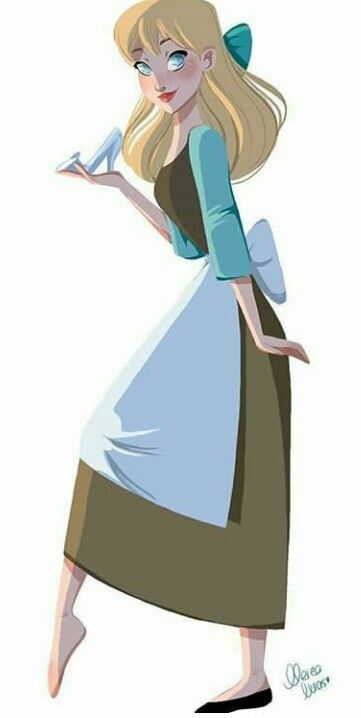 Cinderella became that single story. Over centuries the existence of love between two people irrespective of class, gender or status became one of a single story of love between a man and a woman as exemplified in Cinderella. In a TED talk in 2009, Nigerian writer Chimamanda Adichie highlighted the danger of a single story. The danger of a single story is that it ignores, and in fact, denies the existence of other realities. Many girls and indeed boys grow up believing that they will find love with someone of the opposite gender. The story of Cinderella as heart-warming as it is, inherits the danger of a single story. We want to see boys and girls embrace their individual realities. It is time for Cinderella to find love with a princess in part two of our human love story. Thank you Adura. You've given us food for thought with your guest post. I've always loved the Cinderella story, and have lost count of the number of versions I've read. Yours was certainly different and challenge the traditional story in a unique way. 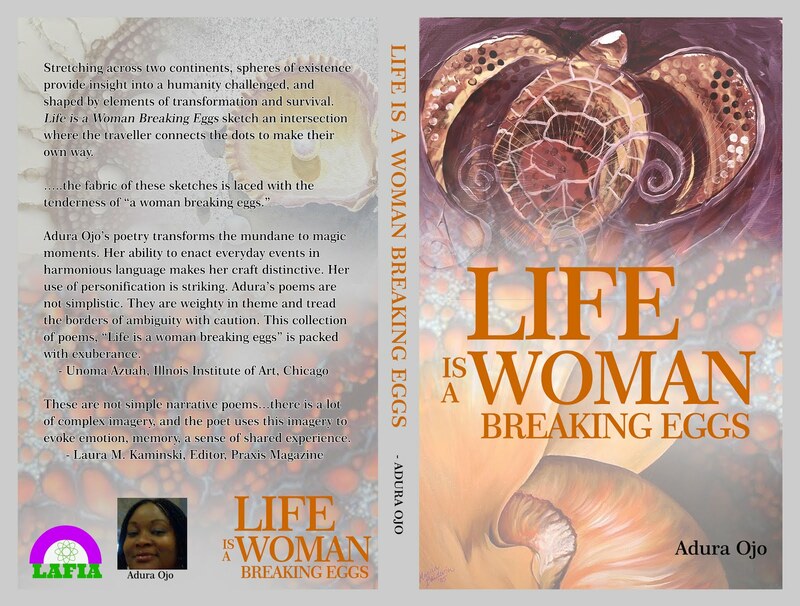 You can check out her book of poetry by emailing Lafia Publishing: lafiapublishing@gmail.com. Check out her beautiful blog HERE. 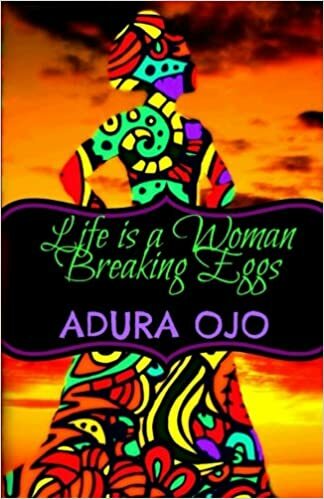 Adura Ojo is a British-Nigerian poet and writer. She is Pomosexual and embraces the anti-discriminatory principle of non-categorization. 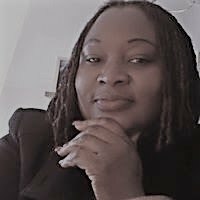 Her poems have appeared in Panorama: The Journal of Intelligent Travel, Acumen, Dryland, Sentinel Literary Quarterly, The New York Times and The Poetic Pinup Revue. A 2017 Pushcart prize nominee, Adura’s poems document what her diary once kept in a secret place. 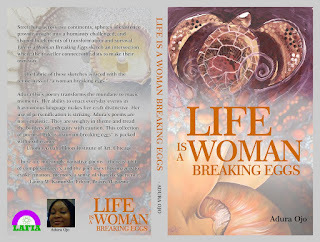 Her collection, Life is a Woman Breaking Eggs, was published in April 2017 by Lafia. So on February 1st, only 4 days to go Australian time, our new challenge will go live. 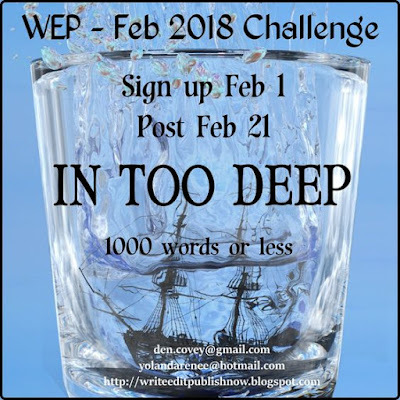 Will it be you writing next month's guest post? Denise, for the team -- Yolanda, Olga and Nilanjana! #WEPFF The End is the Beginning WINNERS for December, 2017! What a wonderful challenge to end 2017. The entries were outstanding as always, and quite varied -- flash fiction ran the spectrum from time travel (Christopher) to a story of loss and renewal (Pat G), then a tale from a cat's POV (Pat H), to the macabre (Dolorah) which was countered by a funny Christmas letter (Liz). Then there was a sci-fi Asimov-inspired tale (D.G) and an environmentally-aware flash from Deborah. 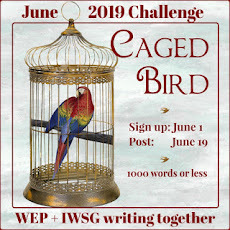 Flash fiction received a challenge from the poets, with poems of healing and hope (Carrie, who made the shortlist), The Walk by Nidhi, and even a colors puzzle within a poem (L.G. Keltner.) 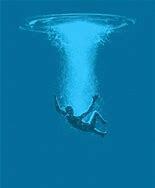 Not to forget Desk 49 (Ellis) commented on practically every post in poetic form even though he chose the flash fiction route with his time loop. Go Ellis! There was non-fiction (Tyrean, an early contender), who shared her personal challenge of rising from the ashes. I'm sure each of you was mightily touched by Tyrean's will to survive. Hilary's interesting short memoir of her life, looking back and to the present made for great reading. An informative craft post was Roland Yeoman's contribution. Each time we've read through the entries, our winners' choice changed; it wasn't easy to achieve consensus. Those finally chosen were always in the mix. Kudos to you all for coming out to play so close to Christmas. 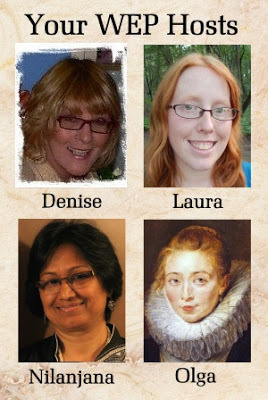 It was lovely to welcome new writers--Keith, Nidhi, Carrie Ann and Liz. I hope you've enjoyed the experience and will come again! For the newbies to WEP, with winners it comes down to who strikes the loudest chord with us as readers -- choosing is so subjective! 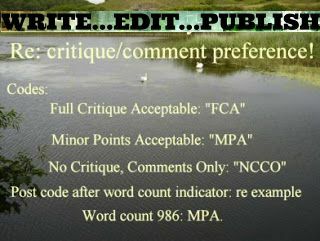 Then it must be edited, with apt paragraphing, grammar and punctuation (as you'd submit to an editor.) An occasional lapse will be overlooked if the story touches us, of course. We also take into account the collegiality of the participants. Reading and commenting on each other's posts is crucial to the success of WEP and we spell it out on the Submit list. We're delighted that many of you took the time to do just that and disappointed that some didn't read any, not even the hosts', who read entries many times and use comments to ascertain people's choices. There is a DL after each name, so you can come back at any time and read or reread for yourself. I hope you'll at least go read the winners' entries if you haven't already. I take my party hat off to thank my wonderful team members -- Yolanda, Olga and Nila, who always write quality entries, but cannot be in the running for a prize. Ladies, thank you for your help in 2017 and into 2018 with its gorgeous challenges! We loved Adura's take on the Cinderella story where the Prince is a Princess and "I Kiss Frogs No more" a powerful statement. A timely tale! 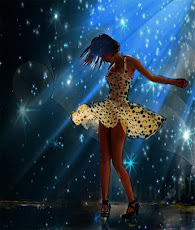 Please, accept the winner’s badge and display on your blog with a link to your poem. "All the world's a stage" was the apt title for Keith's flash which was a clever interweaving of drama and real life. Congratulations, SALLY. 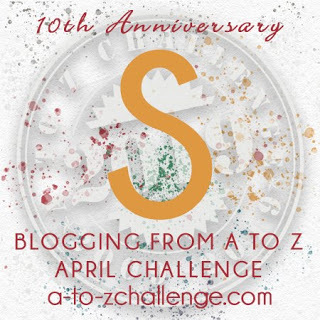 Please accept the badge and display it on your blog with a link to your story. 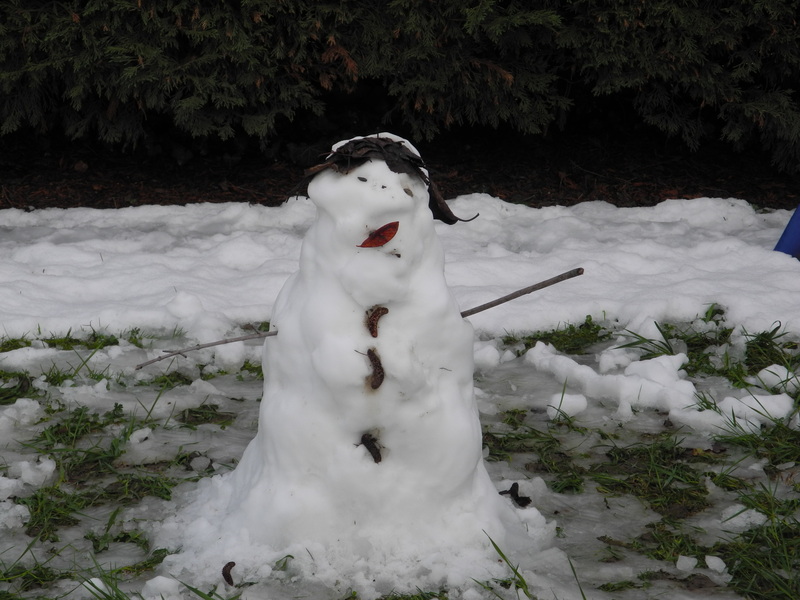 Thanks, everyone, for joining us in DECEMBER. We appreciate each and every one of you. Can't wait for the first challenge of 2018! We know it's Valentine's month, but treat this challenge any way you wish. 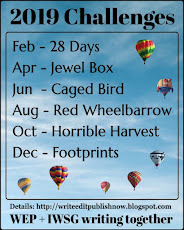 Go to our Challenges Page to read the prompt schedule for the year. Happy New Year and may we enjoy your company every two months in 2018!